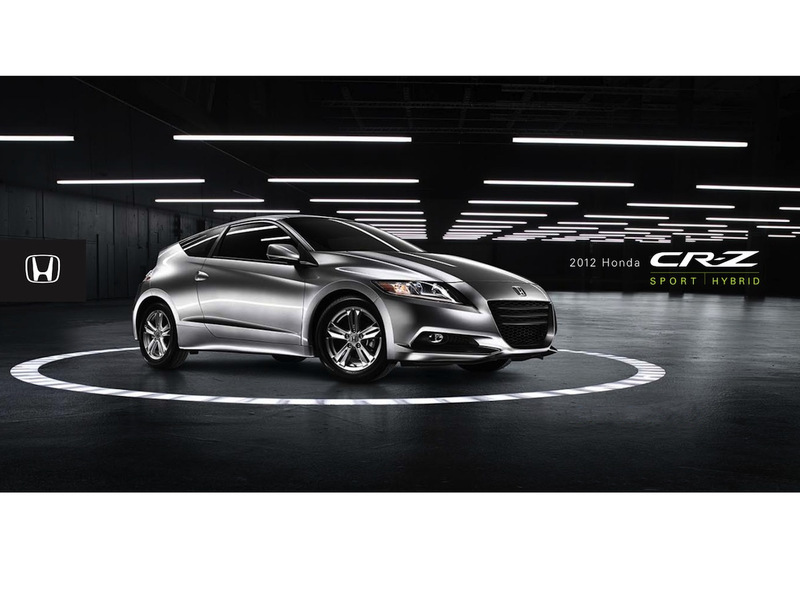 Sales brochure for the 2012 Honda CR-Z. The CR-Z comes standard with a 1.5L 16-valve 4-cylinder engine. An optional EX package ads high-intensity discharge (HID) headlights, fog lights, heated power side mirrors, leather-wrapped steering wheel, Aluminum shift knob with leather, 360 Watt sound system, Bluetooth, Aluminum pedals, and navigation system.